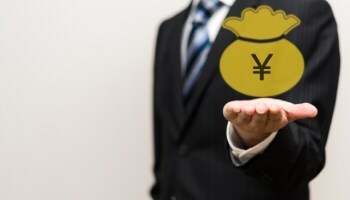 According to Yano Research Institute, a Tokyo-based market research firm, the scale of the sharing economy in Japan reached ¥50.3B in 2016. This can be expected to continue expanding and it is supposed to reach ¥107B by 2021. As I discussed before, a number of fast-growing startup companies can be seen in this field such as Mercari, Raksul, etc, and the concept of the sharing economy has been incorporated into various services. Now, “to share” is expected to form a new social system in Japan where we face declining population. In fact, the government has been geared toward encouraging people to start up this type of businesses. For instance, the Ministry of Internal Affairs and Communications has also financially supported municipalities working on connecting families needing housework and nursing services to people who can provide these services. Previously, I introduced “Ossan Rental“, sharing mid-aged men in Japan. 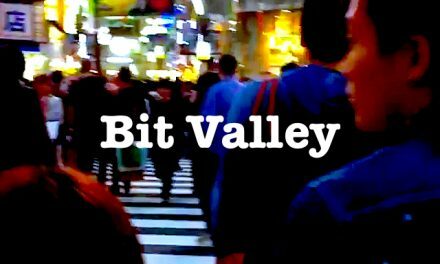 So, literally, Japanese people have tried to share all kinds of stuff. 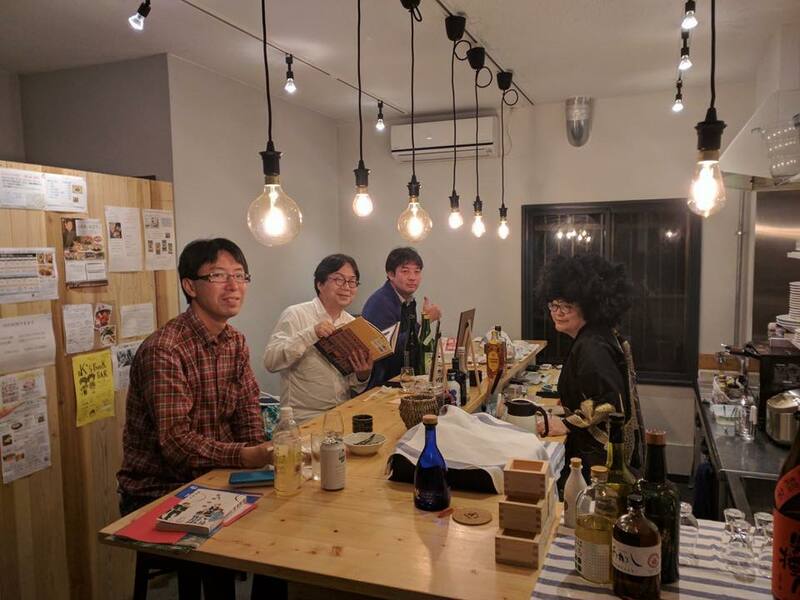 Just recently, I happened to find a new type of service based on the concept of the sharing economy in Kobe, which is a very unique and interesting service. “Sharing Kitchen” might boom in your country as it has started spreading all over Japan recently. 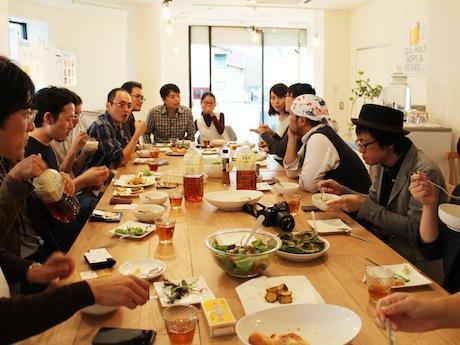 “Sharing Kitchen” is a new type of service where people share not only a place and cooking equipment, but also an operating license given by a health center. Therefore, if you have a food hygiene supervisor, you can provide your food service as a restaurant business immediately and generate revenues. This is very beneficial especially for people considering starting up restaurant businesses but wanting to try out their ideas beforehand. 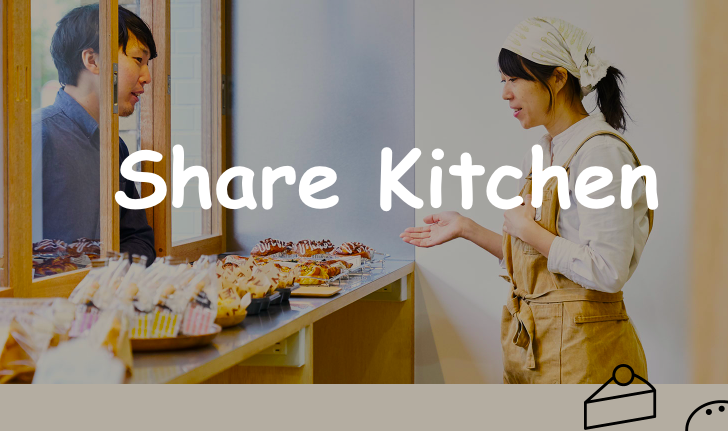 Actually, sharing kitchen has just started booming in Tokyo and Osaka, and this wave is spreading to other regions of Japan. The sharing kitchen services usually have counter seats, table seats, refrigerators, stoves, tableware, seasonings, etc. Therefore, you do not need to prepare everything but just need what you want to use for cooking. In addition, you are not required to open your restaurant frequently since there are several options for single use, once a week use, etc. So, it is just easy to venture since the hurdle of opening a restaurant is decreased. Furthermore, sharing kitchen businesses seem to have an important role in helping people have a good relationship with a local community. 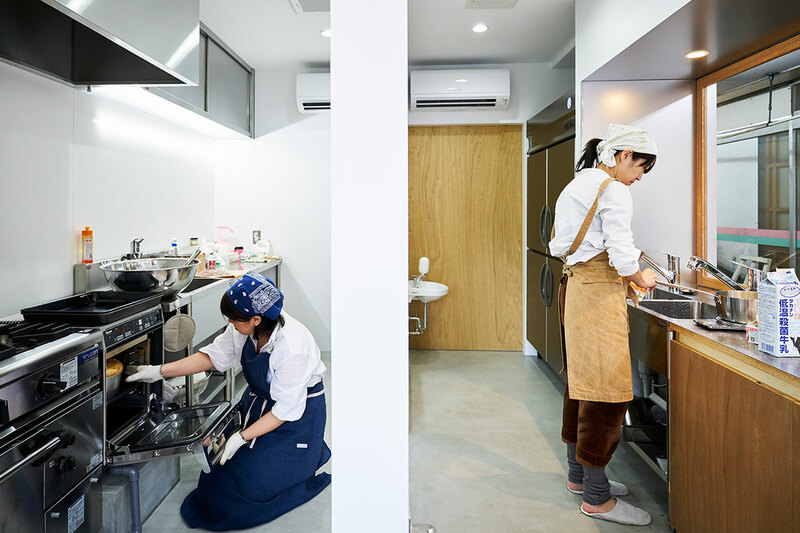 While many people become independent after trying out their food business ideas in shared kitchens, there are some people who continue providing services there according to Tydachichi Salon, a Kobe-based sharing kitchen service provider. A number of sharing kitchen users have also enjoyed experiencing the expansion of network through the services in sharing-kitchens. This also has a potential to make municipalities vibrant and attract consumers to the local areas. Moreover, local people would also be able to enjoy different types of meals in the same place. In fact, many kitchens have become places of recreation and relaxation for local citizens. We tend to think that the sharing-economy business should be implemented in collaboration with technology. However, the sharing kitchen is more like based on our sense of community, which we should keep having and should be taken root in the society. I am planning to go eat something in a shared kitchen in Kobe soon. I will tell you how it looked like here! NextHave you already tried ZOZOSUIT, the most innovative product in the fashion industry?